There’s nothing like a warm cup of herbal tea with fresh, invigorating flavor and appealing aromas wafting to you on a cold winter day. This post is your guide to all things tisanes: how-to harvest your herb, how-to make fresh herbal tea, how-to best achieve the health benefits of tisanes, and how-to create unique herbal combinations. January weather has us positively shivering, which means there’s nothing more enticing than a hot drink. A coffee in the morning, hot chocolate at night, a chai tea in-between…we’re looking for anything that keeps our insides warm and our mind moving. My personal solution? I love a nice cup of warm herbal tea. It’s become a bit of a ritual for me—one that happens year-round, cold weather or not. Every night before bed, I drink a cup herbal tea. It’s absolutely soothing, aromatic, and delicious, and it makes me feel like I’m finishing my day off on a healthy note. Technically, herbal teas should be called by the French word tisane. “Tea" is a specific type of plant that contains caffeine and which herbal teas rarely use. General speaking, herbal teas are infusions of leaves, seeds, roots, or bark that are then extracted in hot water. This post is your guide to all things herbal teas, including harvesting, steeping, health benefits, and unique, useful recipes! We suggest you harvest in the morning. If your herb plant is outside, you’ll have more tisane success if it’s a dry morning! The essentials oils of herbs are more highly concentrated in the morning before the heat draws the oils out. Be careful to not remove too many leaves at once. It could kill your plant and cut your tea time short. After you harvest, some (most) herbs can be steeped immediately, while others should be dried. We recommend using fresh herbs when possible as drying herbs can cause the leaves to lose many of their flavor and aromatic nuances. To dry out your herb, you have several options. You can use the microwave or you can air dry, but we suggest the oven for quickest quality results. Heat your oven to 100 to 125° F. Then, place your herb sprigs in a single layer on a tray and put them inside the oven. Watch carefully! Leave the door ajar so it doesn’t get too hot, and be sure to check their progress frequently. When you’re using fresh herbs, steeping your herb is the best option. In other words, do not boil them! It will cause them to lose flavor. How much herb you use depends on how strong you like your tea. To begin, try using one sprig (or about 1 tablespoon) of herb per person. Bruise the herb a little to release the oils. You can do this by just crushing the leaves in your hand a little. Then place them into a pre-warmed teapot, and pour in water that’s just off the boil. Let your herb steep well! The time required varies per herb and depends on your preferences, but 5-10 minutes is a good starting point. (Dried herbs will take less time.) Strain as your pour into your drinking mug. If you prefer iced tea, you can do almost the exact same thing. Instead, pour room temperature water on your herbs and let them steep overnight. At the very least, a few hours are needed to infuse the water properly. Of course, this how-to is quite general. As you experiment, you’ll learn to adapt the amount of herbs and the steeping time based on your preferences and the herb you choose. Of course, the longer you steep, the stronger the flavor. But be careful! Steeping for too long can make the tisane bitter. On another note, we love to make our own combos! With so many fabulous tisane herbs in the world, there’s no need to choose just one. 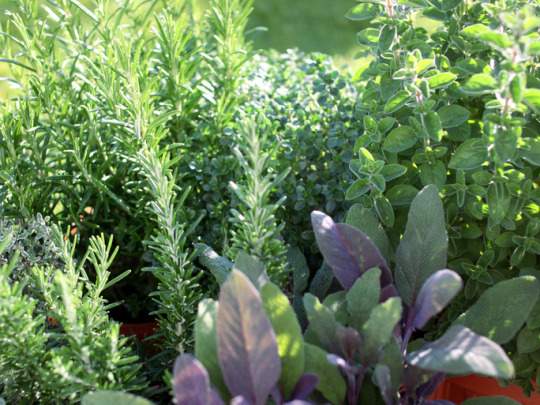 If the scents of your herbs mingle well, chances are the flavors will too. Be imaginative! For example, try 4 parts mint, 2 parts tarragon, and 2 parts basil. Or add a splash of fruit juice to rosemary tea, and make it an herbal punch (best served cold). Maybe you’ll love it! Maybe you won’t. But by experimenting, you’ll find innovative, delicious tisanes worth drinking every night. Drinking a cup of herbal tea once a day can change your mood, refine your skin, improve your sense of well-being, and increase your energy. By drinking a well-steeped tea, you get all the herb’s benefits in an easily digestible form, and you’re giving your body the building blocks it needs to manufacture tissues and hormones. Herbalist Marianne Beacon says that we arguably get “more benefit from a good organic tea than from a vitamin pill.” You get the benefits of hydration, there’s often a social element, and you enjoy aromatherapy all at the same—all things you certainly can’t get from a pill. Generally, herbs in any form help strengthen your immune system and detoxify your system. They’re loaded with vitamins, antioxidants (even more than fruits and vegetables! ), essential oils, soluble fiber, minerals, enzymes, chlorophyll, and other compounds that will increase your health. But tisanes made from fresh herbs are the best way to maximize your daily cup of health boons. When you make a tisane with fresh herbs rather than dried herbs, you capture between 50 and 90% of the effective health benefits of the plant. Plus, the aromatherapic effects are stronger and fresher with fresh herbs. 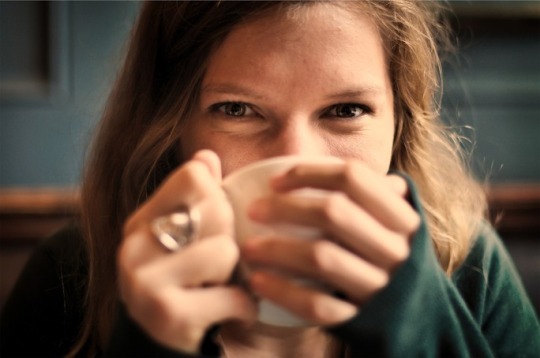 To best obtain your tisane’s health benefits, steep your tea in a covered vessel to contain the essential oils. Otherwise, your room smells nice, but you aren’t retaining the medicinal properties. Some of our favorite herbs come with the best health benefits—here are a few! Lavender: This sweet, fragrant herb is specifically known for calming one’s mind, relieving tension, and alleviating headaches! Lemon Verbena: With a refreshing and bright lemon flavor, this summery herb improves digestion, decreases joint pain, and helps with asthma issues. Mint: It’s really everyone’s favorite tea herb, but besides the crisp fresh flavor it’s famous for, mint helps fight digestive disorders, abdominal pain, and stomach cramps. It’ll also prevent oxidative stress in the brain and boost focus and concentration. Thyme: It’s less common as a tea herb, but we highly recommend this subtle herb. It calms stomach issues and soothes sore throats. Plus, you can use both leaves and flowers in the steeping. Rosemary: This herb makes for a woodsy dream. It improves digestion, promotes cognitive function, and acts as an antioxidant, meaning it helps protects your body from heart disease and cancer. Sage: Sage is actually an antiseptic. So using it in a tea aids your body in providing effective remedies—especially for issues like mouth ulcers and sore throats. It also aids in depression and Alzheimers. Basil: Basil is a stress reliever, helps fight asthma attacks and cough, and prevents colds. It lowers blood sugar levels and helps prevent heart diseases. Additionally, it’s a good cure for mouth issues and bad breath. Peppermint: This mint plant is particularly easy to grow. Plus, it relieves symptoms of abdominal gas and bloating, subdues muscle spasms and nausea, and heats up one’s body. 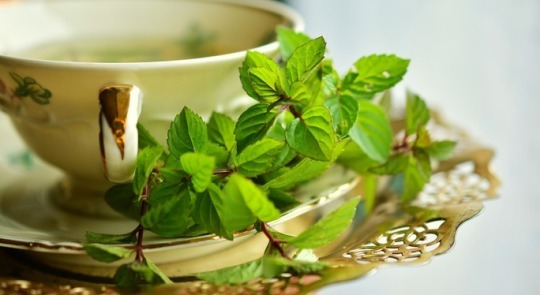 However, if indigestion or heartburn are issues, we recommend you avoid peppermint tisanes. 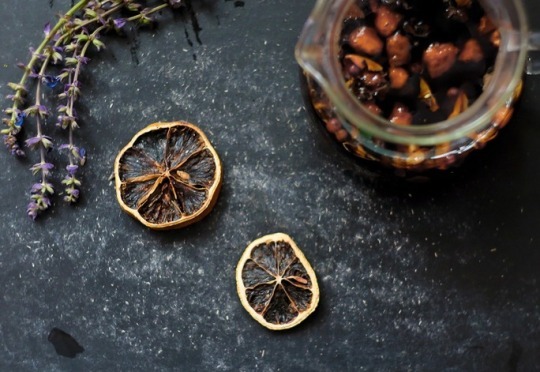 Use these ingredients and follow the steeping method above for new tea inventions! Classic Peppermint: ¾ tsp fresh peppermint leaves, 1 tsp sugar/stevia, 1 cup water. Steep for 5-10 minutes. Chocolate Lavender: 2 tsp fresh lavender, ¼ cup fresh chocolate mint, 3 cups hot water. Steep for at least 5 minutes, and add fresh lemon, honey, or other sweetener. Mint Cranberry: 2 cups of 100% pure cranberry juice, ¼ cup mint. Pour mint in a 2 quart sized jar, fill with boiling water, let steep for ½hour and strain. Then, add cranberry juice and sweeten with stevia/honey. Kid’s New Favorite: 1 tsp lavender, 1 tsp chamomile. Steep for 10 minutes—makes one cup. The Expecting Tisane: 1 cup chopped oat straw, 1 cup red raspberry leaves (chopped), ½ cup peppermint leaves. Steep 10 minutes. Basil and Ginger: 12 basil leaves, ½ lemon (squeezed), 2 inch ginger (peeled), 4 tsp honey, 2 cups of water. Let steep 10 minutes. Rosemary and Orange: 4 sprigs rosemary, 8 slices orange peel, 8 cloves, 2 liters boiling water, 2 Tbsp honey. Steep for 5 minutes. Truly, drinking a hot herbal tea nightly has become my favorite ritual. It’s absolutely soothing and wonderfully tasty—especially when you use your freshly harvested herbs. The health benefits of fresh herbs are unparalleled, never mind the aromatic and flavor intensity! 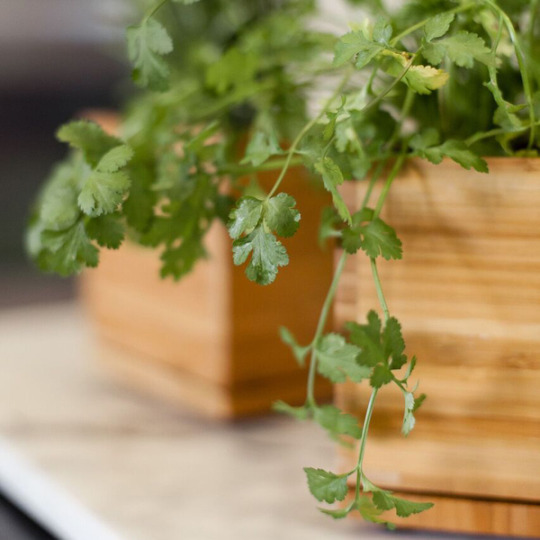 We make it easy to grow fresh kitchen herbs, which means it’s easier to make your day just a little happier and healthier. Which, let’s be honest, is what people (and Gardenuity) are all striving for. Share your favorite tisane combination with us! Tag us on Instagram, Facebook, and Pinterest, or shoot us an email showing off your fresh herbal tea. We’d love to see what you’re making. January 16, 2018 by Corinne L.